Dreamers are illegal aliens who arrived in the United States as minors and earned temporary protection under former President Barack Obama’s Deferred Action for Childhood Arrivals (DACA) plan in 2012, which the Trump administration considers unconstitutional. 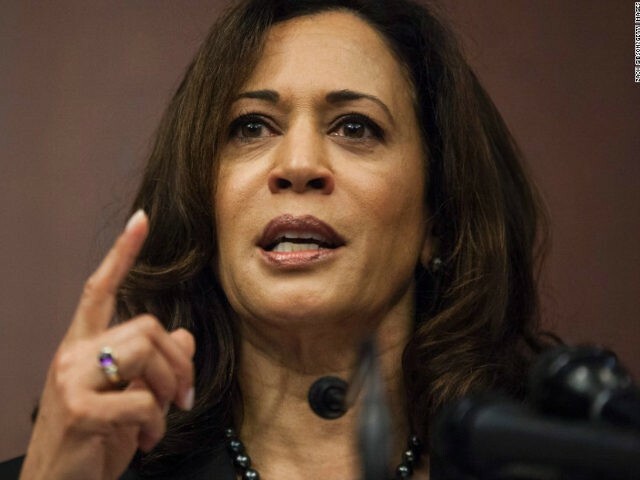 “Here’s the deal: It’s a false choice that we can’t fund the government and protect Dreamers at the same time,” Harris wrote on Twitter. Here’s the deal: It’s a false choice that we can’t fund the government and protect Dreamers at the same time. Harris is also gathering signatures on a petition that is geared towards ending the government shutdown. Harris’s fellow progressive Rep. Luis Gutierrez (D-IL) claimed on Friday that the government shutdown is about the “first racist president of the United States of America” wanting to end legal immigration. “It’s really about the color of your skin and the country you come from,’ Gutierrez claimed. He reportedly also accused the Republicans of taking DACA recipients hostage. President Donald Trump took to Twitter to express his belief that the Democrats are using illegal aliens to advance their political position, at the cost of America’s military servicemen and women. He also criticized the Democrats for demanding amnesty for illegal aliens over keeping the government open for lawful Americans. Thanks to Senate Democrats, the Senate was unable to reach the 60-vote threshold Friday that is required to end debate and move to a vote on the continuing resolution that would keep the government open.